What a year it was! More homes were sold in Wisconsin this past year than any year since 2005. Home sales were up 11.4% over 2014 with 76,693 properties sold. Median home prices are up 5.1% compared with last year. Median sale price for a home in Wisconsin is now $155,500. “We would have sold even more homes had we not been constrained by very tight inventory levels,” said Michael Theo, President and CEO of the WRA. “The combination of strong housing demand and tight inventories have both pushed median prices up in 2015,” said Theo. 27,244 homes sold in Southeast Wisconsin in 2015, a 10.6% increase over last year. Median sales price up 5.4%. 15,878 homes sold in South Central Wisconsin in 2015, up 12.1% over last year. Median sales price up 6.7%. 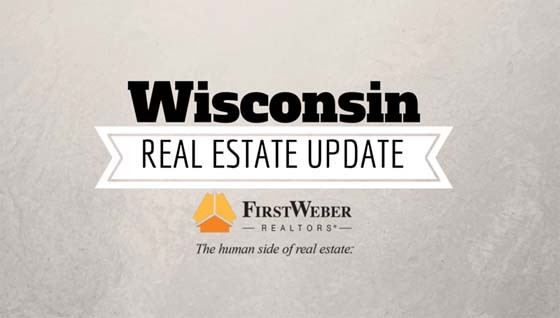 7,720 homes sold in Western Wisconsin in 2015, up 10.3% over last year. Median sales price up 5.4%. 4,759 homes sold in Central Wisconsin in 2015, up 11.5% over last year. Median sales price up 5.8%. 7,061 homes sold in Northwoods Wisconsin in 2015, up 11.5% over last year. Median sales price up 6.5%. These numbers from The Wisconsin Realtors Association paint a general picture of the state of real estate in Wisconsin. To see the details of your community or even your neighborhood, connect with a First Weber real estate agent for a free consultation or discussion. They are happy to share local data with you. To see Wisconsin real estate for sale, please visit firstweber.com and download our free real estate apps. First Weber annual retreat: a huge success, a ton of fun. See pictures here.